We now have a therapy that can be used for horses that don't respond to joint injections. If started earlier in the course of joint disease, IRAP can also help repair the damaged joint. A novel therapy called IRAP® is now available for the treatment of osteoarthritis and degenerative joint disease in horses. Treatment with Interleukin-1 Receptor Antagonist Protein (IRAP) utilizes progressive gene therapy to combat osteoarthritis in your horse. Interleukin-1 (IL-1) is an inflammatory compound that is secreted by many types of cells. IL-1 is an important part of the inflammatory response but in the case of your horse's joints sometimes can be detrimental. The joint fluid carries a protein called interleukin-1, which plays an important role in inflammation and accelerates the deterioration of tissues like joint cartilage. Interleukin-1 Receptor Antagonist Protein (IRAP) plays an important role by blocking IL-1 from binding to tissues and inhibits the damaging consequences of IL-1. The procedure begins with drawing blood from the horse that will be treated with IRAP into a syringe. The syringe is specially prepared with glass beads that stimulate production of the antagonist protein and an anticoagulant. The blood is harvested, incubated and centrifuged to separate the plasma (abundant with IRAP) from the blood. Typically, IRAP treatments are individualized for your specific horse. IRAP is another therapy to be added to the battery of weapons that the equine veterinarian has to combat osteoarthritis in your horse. The reason IRAP is so exciting is its' potential for a long-term effect on battling osteoarthritis. Whereas some of the therapies currently used might only have short-term effect, IRAP has the potential to stop the cartilage matrix from being degraded and increase healing. IRAP has the ability to stop the inflammation cycle and bring comfort to your horse. 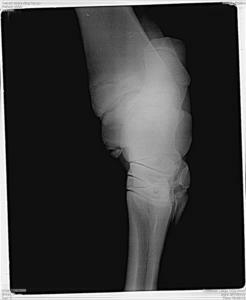 Much of the pain associated with navicular syndrome and osteoarthritis comes from breakdown and resorption of bone (osteolysis). Bone can breakdown and remodel occur where stress is exerted on the cortical surface. There is also breakdown of the bone where ligaments or tendons attach to bones. 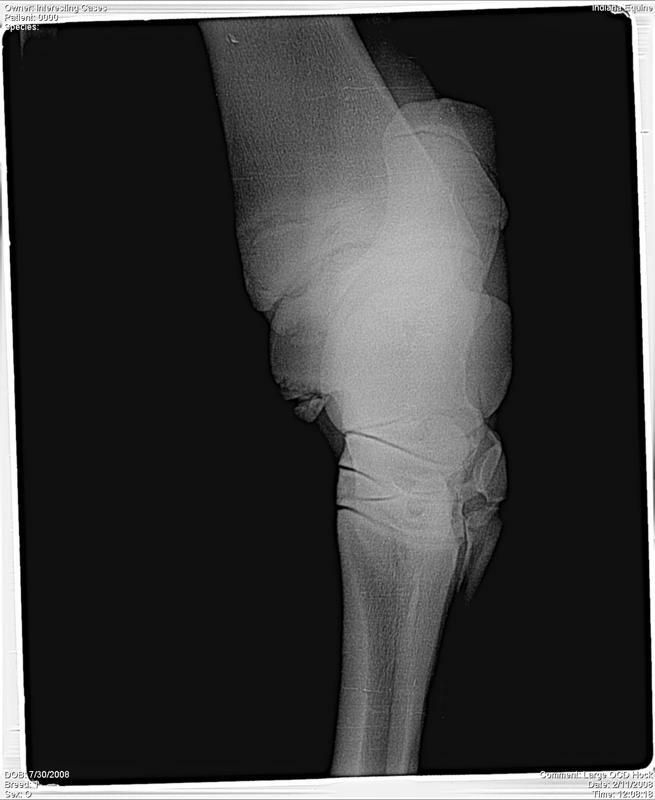 Horses with osteoarthritis experience the pain of bone resorption and remodeling in areas where the cartilage is no longer functional and abnormal stress is placed on the bone below. Tiludronic acid inhibits painful breakdown of bone. Tiludronic acid also has inhibitory effects on the enzymes that breakdown cartilage within an osteoarthritic joint. Horses treated with tiludronic acid experience immediate inhibitory effects on bone resorption. The affects last up to 4 months. This means that a lame horse can experience some relief almost immediately after IV administration. Then for 4 months osteolysis is controlled giving the injured area time to heal. There are two routes tiludronic acid can be administered. At Conley and Koontz Equine Hospital we either administered tiludronic acid systemically thru the jugular vein or infuse it regionally. Systemic administration has the advantage of helping multiple joints, however more medication is required thus systemic administration is more expensive. The second option is to administer a smaller, more concentrated dose in the region of pain or injury. Regional perfusion has the advantage of treating one injured area at a less expensive price. Horses are presented in the morning and treated in the morning. Then the horses are observed thru the day for undesirable effects. Horses can be picked up later in the afternoon. Most owners choose to drop off their horse and leave during the treatment and observation process.